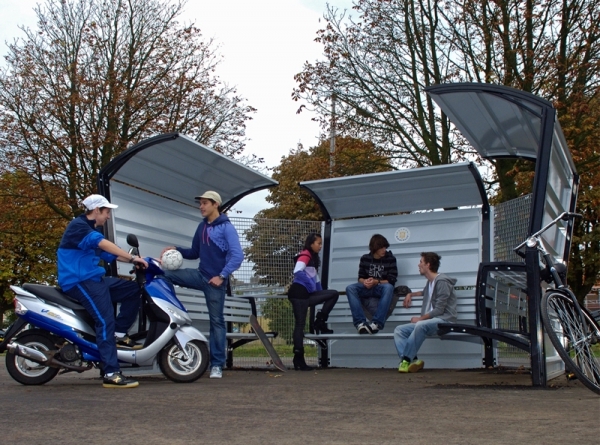 Description: The high-quality Omnibox is suitable for diverse purposes, such as a meeting point or a dugout in the Omnistadium. It is the perfect spot for young people to sit and socialize. A great deal of attention has gone into creating a sturdy yet transparent design with a safe character. 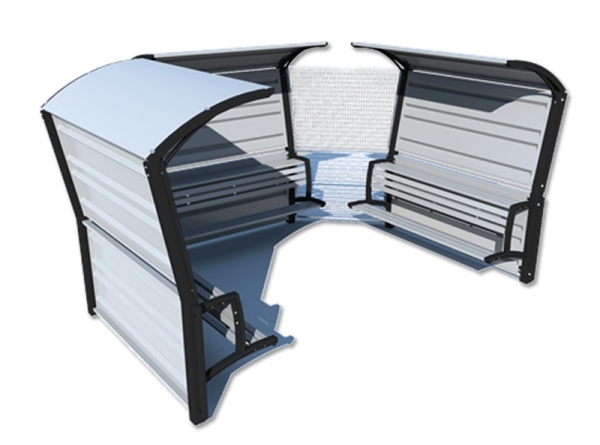 This safety aspect can be further increased by replacing the panels with gratings. The low-noise Omnibox can be arranged in a U-shape, a long line or any other setup that may be required. Available in practically any colour – Resistant to vandalism and with a guarantee of no less than 21 years! 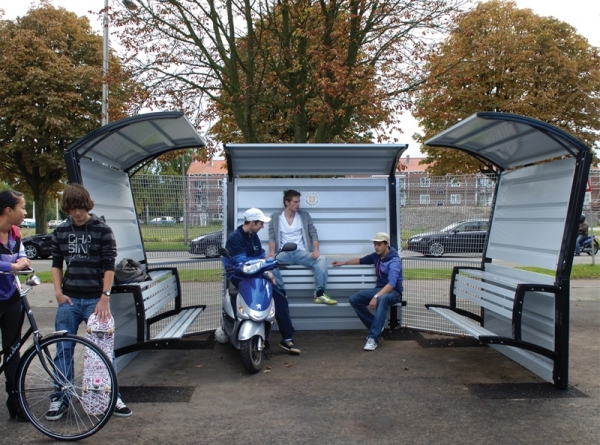 – Can be installed separately or as an element of the Omnistadium.